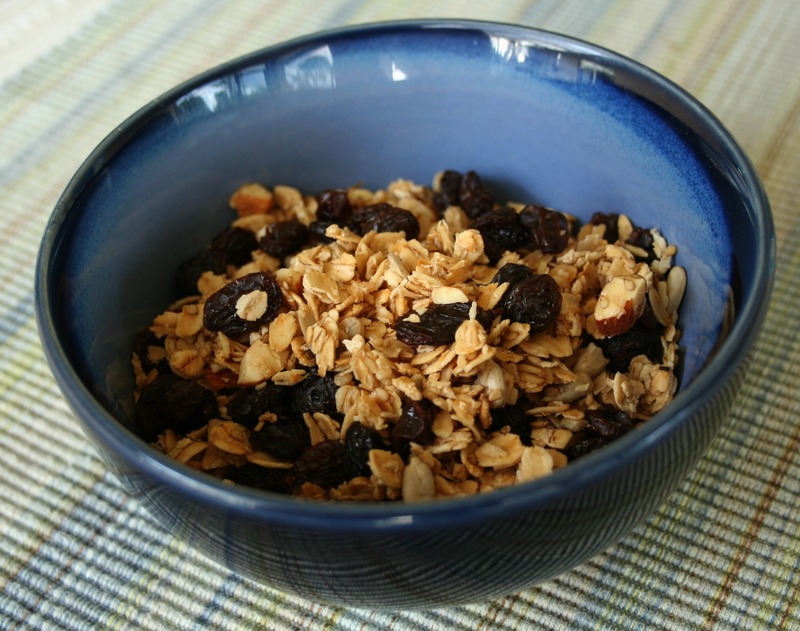 Yes, another granola recipe. I have changed this one up a bit by using coconut oil, and a lower cooking temp. The coconut oil’s smoke point is 350, so I’m knocking the temp by 100 degrees just to be on the extra-safe side. This smells fantastic while baking! Verdict: I enjoyed this granola with sliced bananas and raisins. This is my first time using sesame seeds for anything, but I can’t really taste them in this, but I have read how beneficial adding them to my diet is. Apparently the seeds are high in copper, manganese, calcium, fiber and other important nutrients. So, despite the maple syrup and honey in this, the granola is healthy and packed with nutrition. This was also my first time using coconut oil which is also super healthy and considered by some to be the healthiest oil on earth. My first thought about coconut oil was “is this going to make my food taste like coconut”, but it’s flavorless. I’ve been looking for ways to use the oil and it’s not just for food but can be used on your skin and hair. There is a lot of information to look through! 🙂 Thanks for reading, enjoy! 1. Preheat your oven to 250 degrees. Line two baking sheets with foil and lightly oiled or a silpat. 2. Combine the honey, maple syrup, oil, water and vanilla, set aside. Toss together all of the dry ingredients. 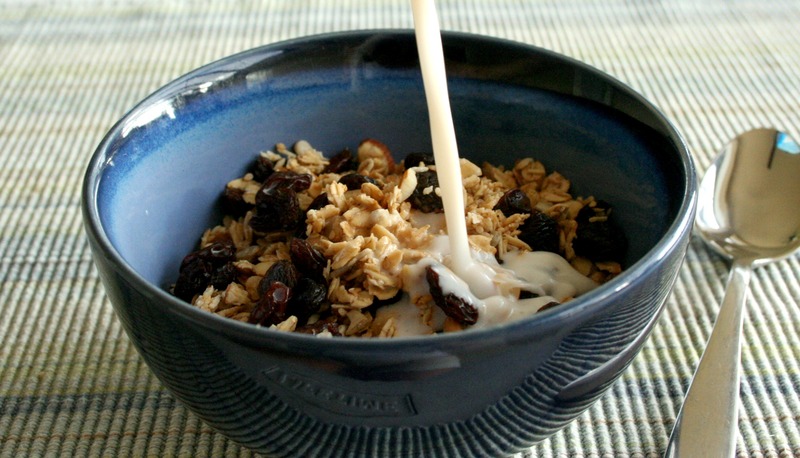 (leaving the raisins and dried fruit out until after the granola is baked). 3. Add the honey mixture and toss with a spoon until the oats are well covered. Spread the granola in a thin layer on the baking sheet. 4. Bake for 40-50 minutes. After 20 minutes toss the granola with a spoon and rotate the trays from top to bottom so they both bake evenly. keep a close eye on it as it starts to turn brown so it doesn’t over bake. It will be a deep golden brown when it is done.